SKT Ceramics can be found every Thursday and Friday from 9 am - 6 pm, Saturday from 8 am - 6 pm and Sunday from 10 am- 4 pm in one of the roll up door spaces on the North side of the Market Building at Findlay Market, in Cincinnati, Ohio. Findlay Market is Ohio's oldest continuously operated public market, open to the public since 1855. Findlay is the social center of Downtown Cincinnati, with live music performances, an open air beer garden and lots of local, independently owned brick and mortar shops, alongside Farm and Artisan Stands. 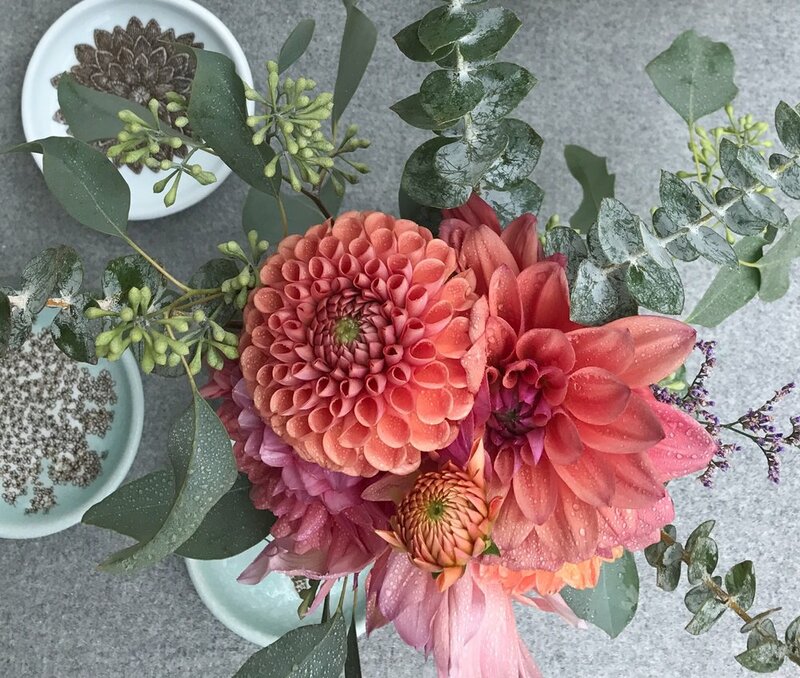 We love filling our large cups, vases and bottles with arrangements by Ellie of the The Budding Florist. In addition to flowers, they have a great collection of cacti, succulents and air plants. The Rhined, on Elm Street across from Findlay, plans "to introduce Cincinnati to the amazing cheeses being produced right here in the states and support the artisan cheesemakers and farmers who create their products in responsible and sustainable ways." 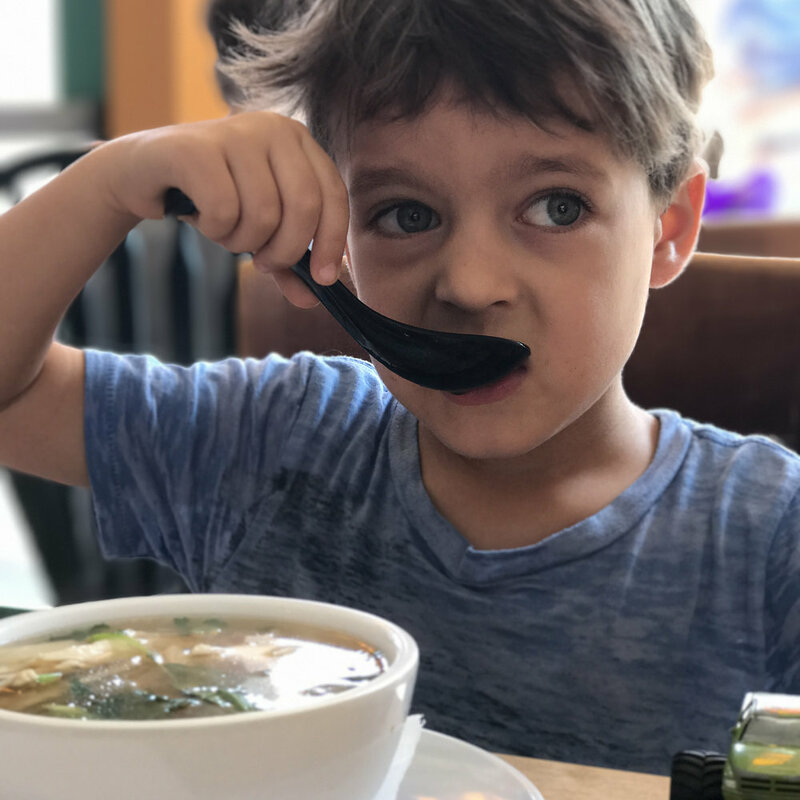 Our favorite Pho spot in Cincinnati, and what we eat for lunch nearly every market day. Their soup and summer rolls are amazing. Coffee and Espresso drinks served street-side out of a teal Vespa. 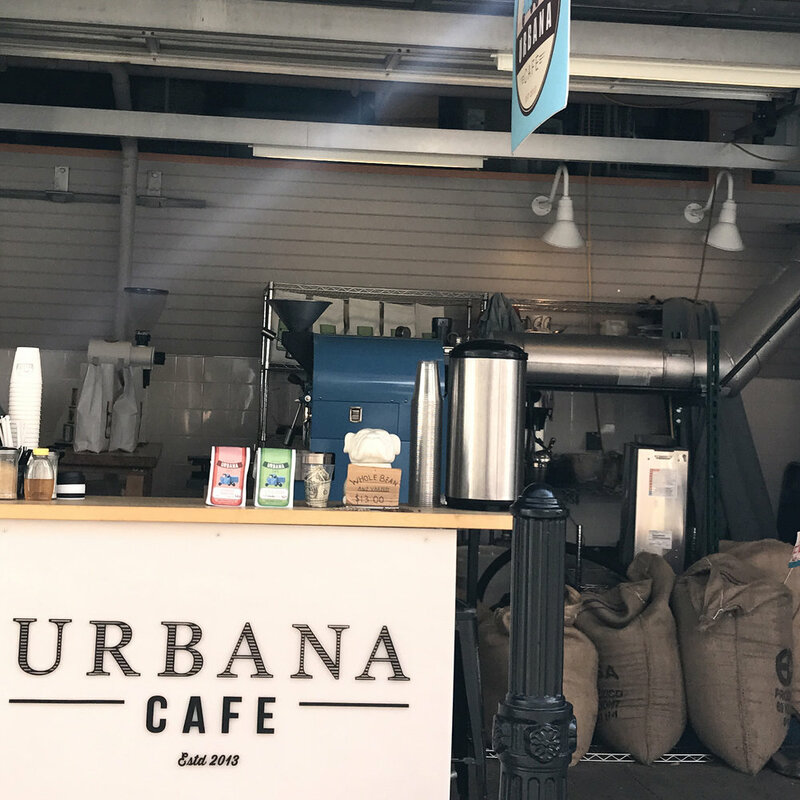 Urbana Cafe recently expanded within the market and added a roasting facility.